Today I’m delighted to welcome the lovely Gilly Stewart to my site. Gilly is going to give us the low down on her latest noel, The Lost Woman. Sometimes the setting for a book is what inspires me, sometimes a character. But only once has the entire plot for a book come to me fully formed. 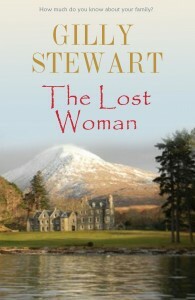 This was the case with The Lost Woman, published last month by Accent Press. I was on a writing retreat, on my own staying in a timeshare in the Perthshire Highlands. My company was favourite dog, Una, a collie-cross. Every afternoon I gave myself a break from writing and took Una for a walk. One day, as we descended a track from the hills, I saw a car parked in a lay-bye on the road beside the loch. For some reason I was intrigued. It wasn’t the normal time of year for tourists (I think it was February) and the car had a slightly down-at-heel look about it. I remember going to peer inside the car, in case it had one of those notes on the dashboard ‘Gone walking up X, expect to return by Y’. Conscientious lone walkers sometimes leave them. But there was nothing. And as I began to walk along the side of the loch back to my lodgings the story unfolded for me. A middle-aged woman who had parked the car and gone walking in the hills. An established local family who were trying to launch a tourism business, in a magnificent grey-stone house like that one I’d passed not far back. The heroine, Catherine, short, curvy, dark-haired, bossy. And yes, they were all there: her three brothers and the irritating father. And the hero, Haydn, who walked up the drive to Annat House. And then I had the first words Catherine said to him: ‘I have nothing to say’. I was off! I got home, editing of existing manuscript forgotten, and began to write notes and then whole scenes for the new book. Of course, it wasn’t all plain sailing. As any writer knows, parts of a book are pure hard slog. And then there were the changes I had to make because it never seemed to turn out quite so well on paper as it had in my mind. And then the edits came back from my lovely (now departed) agent Dot Lumley, who pointed out weaknesses I hadn’t been able to spot myself. 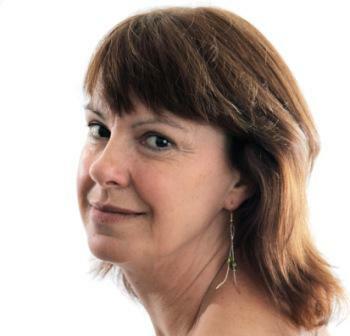 I’ve just read Jenny Harper’s blog at http://jennyharperauthor.co.uk/its-real-a-paperback-emerges-from-the-wisp-of-an-idea/ about how the process of getting from idea to finished book works for her, and I realise how different we are. I really don’t think I could do a 7,000 – 10,000 word synopsis before I started writing. That is so admirable! I have to start while the ideas are there … and hope for the best. But if we were all the same, think what a boring world it would be. The Lost Woman was a source of serious aggravation to Catherine McDonald. There had been no peace ever since She had put in her appearance – or should that be disappearance? First it was the police, then the journalists. Even the locals seemed to be obsessed. And it wasn’t the sort of publicity you wanted when you were on the verge of launching a major tourism venture. Catherine watched grimly as yet another stranger walked up her private driveway. She swung open the massive front door before he had time to ring the bell. ‘I’ve got nothing to say,’ she said. For the first time Catherine began to doubt her assumption. The man wore smart black trousers, a dark jersey, and a long dark woollen coat, not normal journalist attire. ‘What I want now is to learn all about the Lost Woman. You’ve got me enthralled. Is she really lost? Is it an ancient myth or a modern tragedy? Do tell.’ He leant one shoulder against the door jamb, apparently settling in for a long conversation. Catherine began to laugh. The man was mad, but amusing with it. In Catherine’s opinion this man was rather too lackadaisical, and she was sure the head teacher would agree. ‘I don’t think they are very keen on people just dropping in,’ she said severely. Catherine was beginning to feel she was losing control of this conversation, an unusual experience. ‘Is that it, then?’ she said, making an effort to get back on track. ‘If you do decide to take a look at the school it’s two miles further on. You’ll have no problem finding it.’ She moved as if to close the door. ‘So your car has broken down?’ said Catherine slowly. Copyright Kim Ayres – www.kimayres.co.uk – images licensed for unlimited reproduction and distribution for personal and promotional use, so long as Kim Ayres (www.kimayres.co.uk) is identified and credited as the image creator and copyright holder. Not to be used for commercial purposes without renegotiation with the copyright holder. The Lost Woman is her second women’s contemporary novel and is published by Accent Press. They brought out her first novel, Sunshine Through The Rain, in April 2015. Gilly lives on a farm in rural Dumfriesshire with five chickens, four dogs, three cats, a husband and many, many books. Her two student sons deign to visit occasionally. Many thanks for such a great blog Gilly. Thanks for popping by Anne. The more I think about a reading retreat the better it sounds! Gosh, I can’t wait to read this one, Gill! Sounds great! I would love to be able to ‘just write’ but I find I go down too many wrong avenues – I need to think it thorough first. It never works out just as expected though! Thank you Jane. It was such a pleasure to write this. Maybe we should let ourselves relax into the idea more? But that balance between working on the next brilliant idea and making youself finish off the current one … that’s so hard. Currently trying to stop myself dashing off on something else right now!